Stumped on how to write your personal statement for the Common Application? 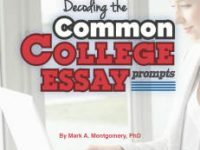 If you’re completing your essays now, you need these tips to help you ace this all-important part of your Common Application. Complete the form and get your copy instantly! Only $10. Easy payment via PayPal.